Recently I’ve published a post about the most common mistake in using UITableViews. 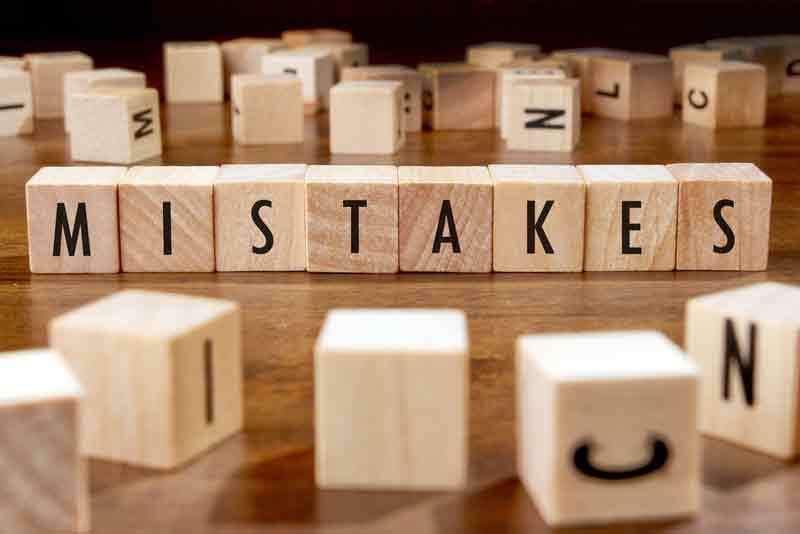 The post has become quiet popular, so that I’ve decided to write this post about the most common mistakes in iOS development. I hope it will help some developers to avoid some pitfalls. The model layer is the data and business logic layer. This layer shouldn’t talk to the view layer directly. The view layer consists of the objects that build the user interface. Good examples for this are UIButton, UITableView and UILabel. The view layer is not allowed to speak to the model layer and it should not have any business logic. The controller layer stands in between the model and view layer. Since the model and view layer are not allowed to speak to each other, it is the job of the controller layer to let the model and view layer work together. However, in reality the controller layer much more than it should do. Very often a lot of business logic and stuff that the view should do can be found in view controllers. As a result, view controllers tend to become very massive. This is a bad software design. So it’s very important to bear this in mind. For more details you can take a look at the post “The MVC-Trap“. If you are encountering very weird bugs that are difficult to reproduce, it is very likely that there is a multithreading problem in your app. In fact, UIKit is not thread safe. Most developers know about this, but it still happens very often that UI stuff is done offside the main thread because it’s easy to forget to jump back to the main thread. So be careful, if you are executing concurrent code. For more details about concurrency take a look at the post “A Simpe NSBlockOperation Example”. The iOS simulator is very fast and highly usable. By using the iOS simulator you can speed up your development and it’s much easier to access the file system of your app. However, the iOS simulator is not a real device so that there are situations where device and simulator behave differently. And the iOS simulator has much more performance than a real device, so that the simulator is not the perfect choice to test the performance of your app. So you should not only use the simulator but also a real device at development time. Fore more details take a look at the post “Simulator vs Real Device”. So it’s a good idea to use not only the simulator but also a real device. However, that’s not all. It’s also not a good idea to test just on the newest and quickest device. Imagine you are developing an iPad application and you are testing just on the iPad Pro. But you have to consider that iOS 9 still supports the iPad 2 and that the performance of the iPad Pro is much better than the performance of the iPad 2. So it could happen that your app behaves very good on the iPad Pro but very bad on the iPad 2. Of course you don’t have always all devices, but you should bear that in mind. And, if you have several devices, you shouldn’t use just the newest one. For more details take a look at the post “What Is The Best Test Device At Development Time?“. 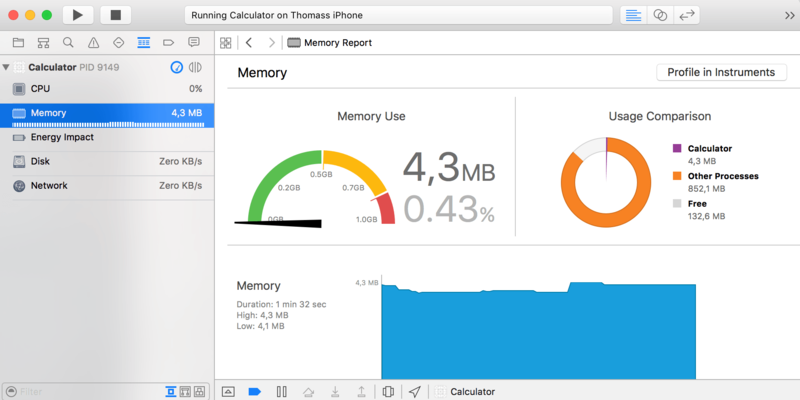 For more details take a look at the posts “Building Memory Efficient Apps” and “Swift: weak and unowned”. var anOptional: Int? = 5 var anotherIntValue = 8 anotherIntValue = anOptional //COMPILER ERROR! anotherIntValue = anOptional //COMPILER ERROR! var anOptional: Int? = 5 var anotherIntValue = 8 anotherIntValue = anOptional! Alternatively, you could also use guard. For more details take a look at the post “Optionals in Swift”. Swift Programming: The Big Nerd Ranch Guide: Excellent book for beginners. Core Data: A very practical guide to Core Data. Soft Skills by John Sonmez. This book is not about iOS development. But if you want to improve your career, you should read it. I’ve published a post about the best iOS development resources, so take a look at it, if you need some inspiration: How To Stay Up-To-Date On iOS Development. You can also check out the latest issue of my iOS dev newsletter. Last but not least I wanna mention the UITableView cell recycling pitfall. UITableView is a very important component that is used in almost every iOS app. It also has very good performance. It achieves this by recycling cells, that means that cells are reused when the user is scrolling. This way new cells don’t have to be created, which would have a bigger performance cost. However, if not all properties are reseted correctly, weird things can happen. Take a look at his post for more details: “The Most Common Mistake In Using UITableViews”.